Our OBC Burn Survivors program is our longest standing offering. The OBC program specifically provides survivors encouragement, challenge, and the opportunity to express current issues in their lives and recovery. It also provides medical staff the opportunity to know survivors beyond the hospital so they can see the long-term impact of their care. OBC participants are prominently featured in our program video and to be inspired by one participant’s story of impact, please watch Lynn’s Story. New Avenues for Youth (NAFY) is dedicated to the prevention and intervention of youth homelessness. NAFY meets youth where they are - and help them get where they want to go. Our NAFY program is specifically for young adults ages 18-24. 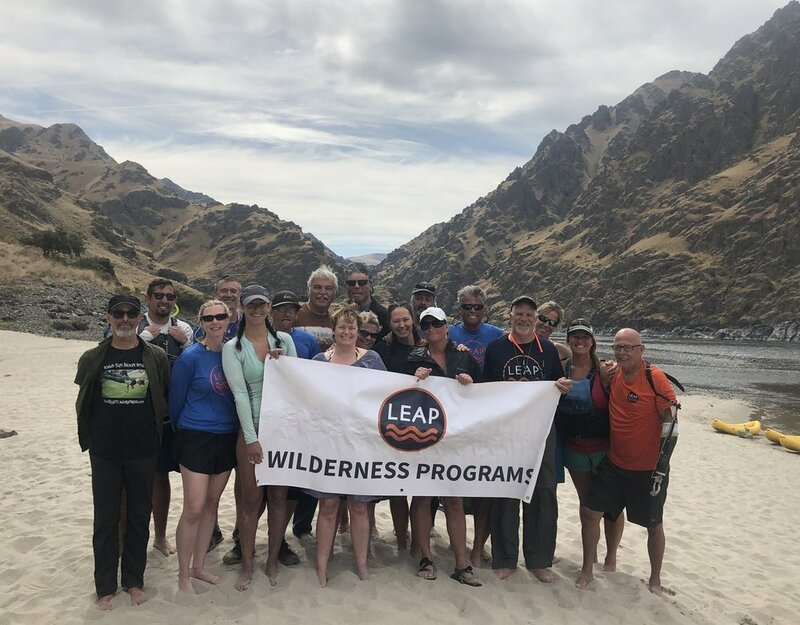 This LEAP program focuses on building social connections, positive engagement, and offering healthy risk-taking to grow experience and potential. 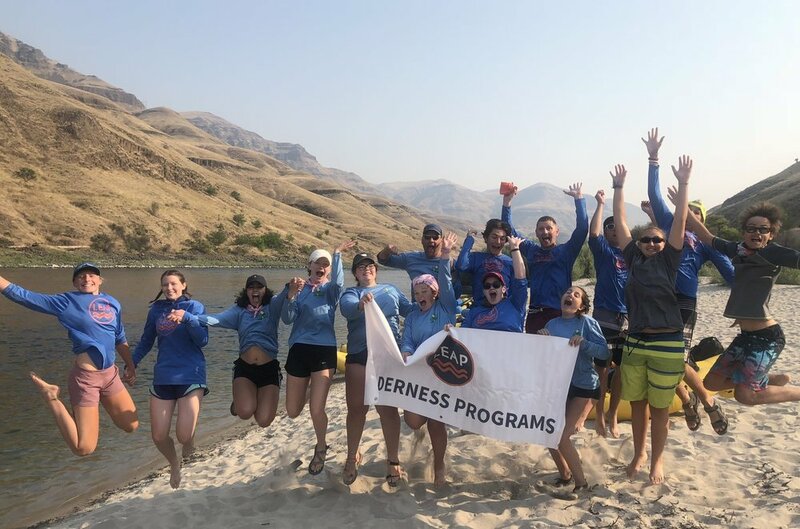 Youth consistently report experiencing the ability to trust in a short period of time on the river, building healthy reliance, a shared experience of vulnerability, and gratitude for the opportunity to be away from the immense stressors of their daily lives. Friends of the Children’s mission is to provide our most vulnerable children a nurturing and sustained relationship with a professional mentor who teaches positive values and has attainable expectations for each child to become a healthy, productive member of the community. LEAP’s program with FOTC supports youth in their adolescent and final years in the FOTC mentorship program. Mentors accompany youth on the program, creating the opportunity for deeper connections in already established and strong relationships. Youth participants are able to step outside of their often chaotic lives, identify their strengths, and connect with their ambitions and hopes for their immediate future and beyond. The Dougy Center provides support in a safe place where children, teens, young adults, and their families grieving a death can share their experiences. 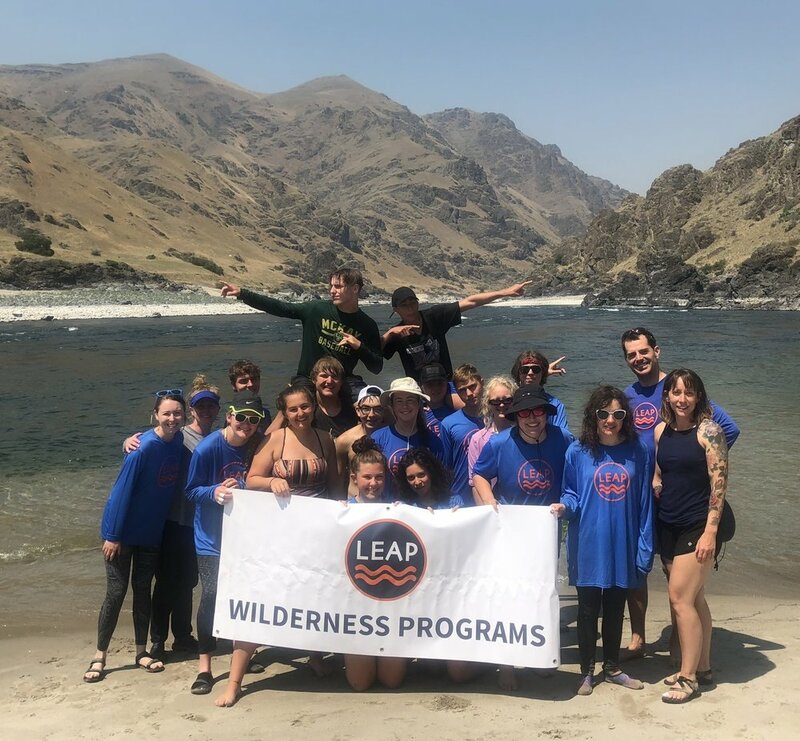 LEAP’s Dougy Program offers youth ages 14-18 the opportunity to process their grief in a new setting, build community and friendships, go beyond what they thought they could do, and have incredible fun. LEAP was also able to offer a Dougy Center Adult program from 2015-2017. OHSU Doernbecher is recognized as one of America’s leading Children’s Hospitals. LEAP’s patient participants are all at a place in their health journey that their physicians support and encourage their attendance. Patient participants are living with diagnosis and illnesses such as epilepsy, cancer, heart conditions, kidney disease, cystic fibrosis, among other conditions. 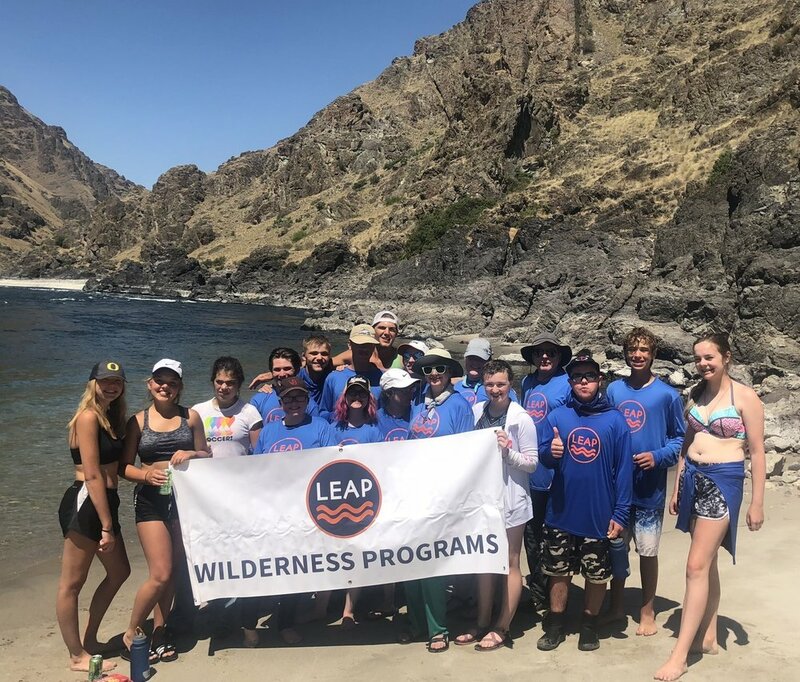 The LEAP program provides patients the opportunity to process their experience outside the hospital environment, build community and connections with other kids living with illness, and be empowered by their physical capabilities. OHSU Doernbecher also supports a separate program for youth who have a sibling being treated at the hospital. 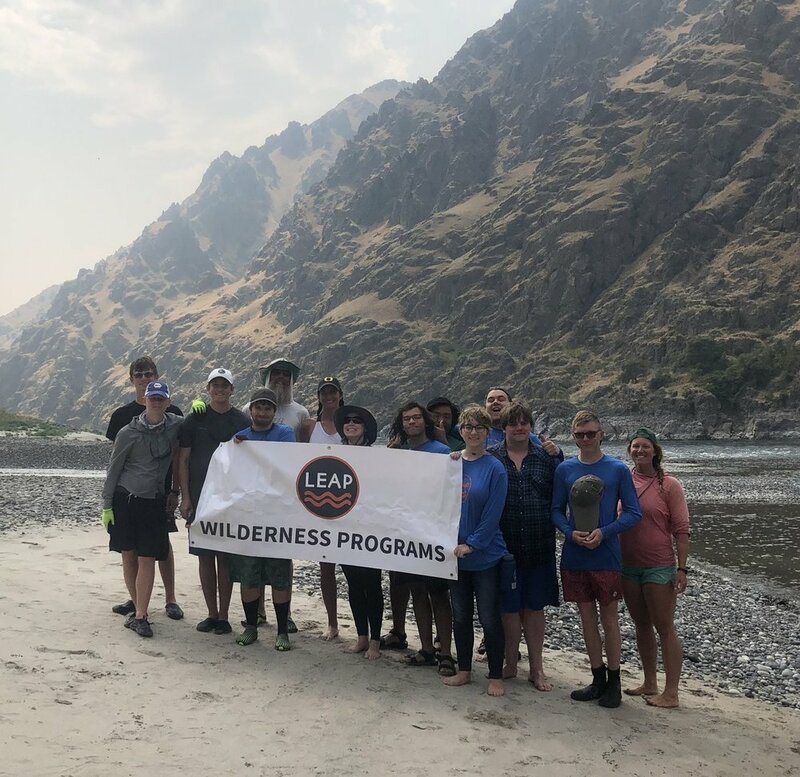 LEAP’s Sibling participants have the unique opportunity to step outside of their family roles, connect with kids who are dealing with similar grief and challenge, and reflect on their strengths and capacities. Sibling participants consistently report being inspired by the power of the river, the depth of their connections, and the relaxation of being unplugged in the wilderness. The Edison High School exists to empower students with learning differences to experience academic success and personal growth while preparing them for a productive future. 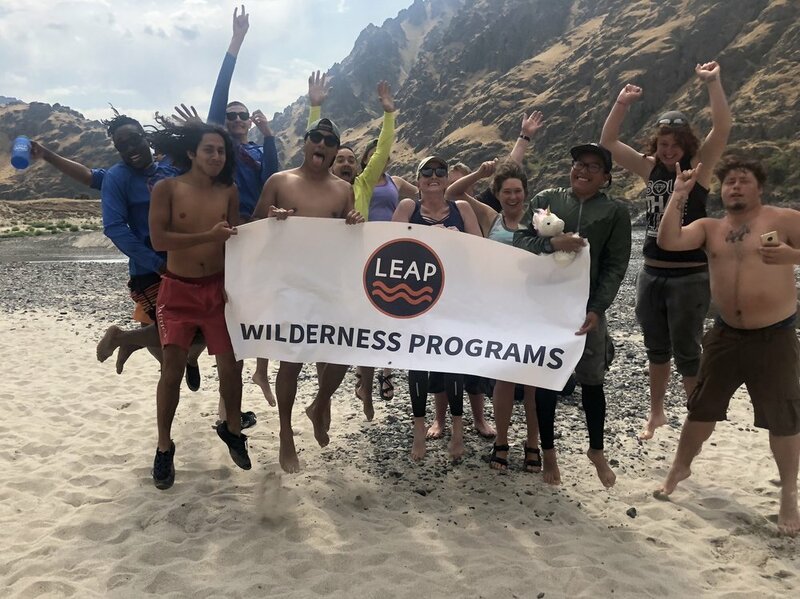 LEAP offers a program for rising 11th & 12th graders at Edison to support them in overcoming their fears, meeting and managing their anxiety, and providing opportunities for deeper connections with their peers. 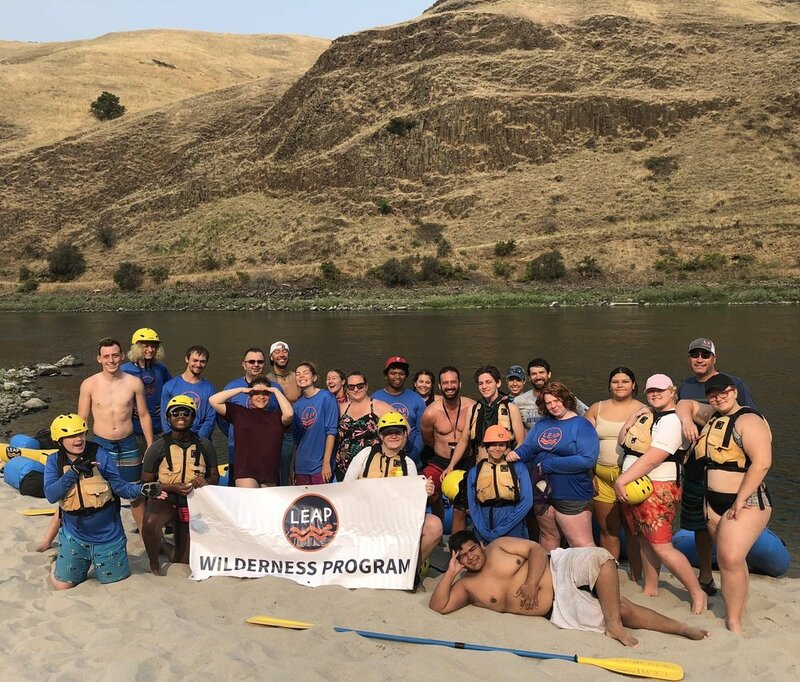 Our Edison program is unique as all of the students already have relationships with each other — but a week on the river provides the opportunity for them to learn about each other and build connections in meaningful ways beyond the classroom, as well as helping them identify strengths and goals for the year ahead and establish support and accountability with their peers and teachers. Camp UKANDU exists to bring joy and hope to children living with cancer, their siblings, and their families through “outrageously fun” camp experiences. Considering that Camp UKANDU serves children ages 8-18, the LEAP program offers adolescent survivors and their siblings the opportunity to reflect and connect with peers more deeply in an environment that is just for them. LEAP also provides a well-supported physical and mental challenge for youth who may face greater uphill medical trials in seasons to come.